With the intent of making brushing a fun activity amongst kids, Aquawhite introduces Chhota Bheem FLASH, which offers an innovative concept for kids to understand the need to inculcate the habit of two minutes brushing, twice a day. Each time the child presses the button to brush their teeth, the toothbrush will start flashing, which will continue for 2 minutes. Once the flash stops your child will know that the brushing time is over. 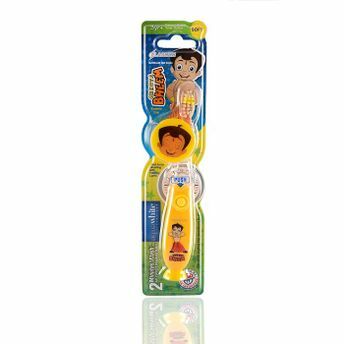 With this new exciting innovation, it is a hassle-free time for mothers and playtime for kids to brush the germs away.